Цель обзора — представление новых, патогенетически обоснованных подходов к лечению анемии хронических заболеваний. Анемия хронических заболеваний часто сопутствует многим хроническим инфекциям (инфекционный эндокардит, остеомиелит, туберкулез), злокачественным новообразованиям, ревматическим болезням (ревматоидный артрит, системная красная волчанка, васкулиты), хронической почечной недостаточности. Генез такой анемии довольно сложен, многообразен и недостаточно изучен. Гепсидин является важнейшим пептидом, регулирующим всасывание железа в кишечнике. Множество восходящих и нисходящих сигнальных путей контролируют эксперссию гепсидина. Генетический дефект в одном из них может привести к дефициту, избытку или перераспределению железа в организме. Своевременное выявление и коррекция анемического синдрома могут улучшить качество жизни и выживаемость таких пациентов. Современные способы коррекции анемии хронических заболеваний, как правило, ограничиваются бесконтрольным применением препаратов железа. У больных с хронической почечной недостаточностью чаще всего используют рекомбинантный эритропоэтин, объясняя тактику лечения угнетением провоспалительными цитокинами синтеза эритропоэтина. В настоящее время разрабатывается ряд препаратов, непосредственно подавляющих синтез гепсидина или опосредованно регулирующих экспрессию стимуляторов и ингибиторов гепсидина. Некоторые лекарственные средства уже утверждены для клинического применения и могут успешно применяться для лечения железоперераспределительных анемий. 1. Nissenson A.R., Goodnough L.T., Dubois R.W., Nissenson A.R. Anemia: not just an innocent bystander? Archives of Internal Medicine. 2003; 163(12): 1400-4. 2. Melnikova I. Anaemia therapies. Nature Reviews Drug Discovery. 2006; 5(8): 627-8. 3. McClellan W., Aronoff S.L., Bolton W.K. The prevalence of anaemia in patients with chronic kidney disease. Current Medical Research and Opinion. 2004; 20: 1501-10. 4. Meyer T.E. Anemia in heart failure. Current Cardiology Reports. 2003; 5(3): 213-14. 5. Saravana S., Rai А. Anemia of chronic disease in patients with rheumatoid arthritis-use of zinc protoporphyrin (ZPP) levels. The Journal of Rheumatology. 2007; 34(2): 446. 6. Giannouli S., Voulgarelis М., Ziakas P.D., Tzioufas A.G. Anaemia in systemic lupus erythematosus: from pathophysiology to clinical assessment. Annals of the Rheumatic Diseases. 2006; 65(2): 144-8. 7. Ellegala D.B., Alden T.D. Couture Anemia, testosterone, and pituitary adenoma in men. Journal of Neurosurgurgery. 2003; 98(5): 974-7. 8. 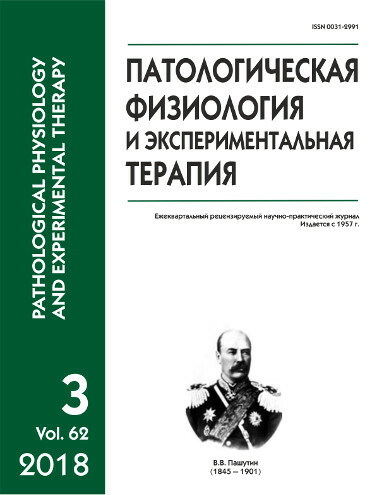 Thomas М.С., Tsalamandris С., Macisaac R. Functional erythropoietin deficiency in patients with Type 2 diabetes and anaemia. Diabetic Medicine. 2006; 23(5): 502-9. 9. Roy C.N. Anemia of inflammation. Hematology. American Society of Hematology. Education Program. 2010; 2010: 276-80. 10. Margetic S., Topic Е., Ruzic D.F. Soluble transferrin receptor and transferrin receptor-ferritin index in iron deficiency anemia and anemia in rheumatoid arthritis. Clinical Chemistry and Laboratory Medicine. 2005; 43(3): 326-31. 11. Fitzsimons E.J., Brock J.H. The anaemia of chronic disease: Remains hard to distinguish from iron deficiency anaemia in some cases. The BMJ. 2001; 322(7290): 811-12. 12. Arndt U., Kaltwasser J.P., Gottschalk R. Correction of iron-deficient erythropoiesis in the treatment of anemia of chronic disease with recombinant human erythropoietin. Annals of Hematology. 2005; 84(3): 159-66. 13. Ruiz-Arguelles G.J., Diaz-Hernandez А., Manzano С. Ineffectiveness of oral iron hydroxide polymaltose in iron-deficiency anemia. Hematology. 2007; 12(3): 255-6. 14. Reynoso-Gоmez Е., Salinas-Rojas V., Lazo-Langner А. Safety and efficacy of total dose intravenous iron infusion in the treatment of iron-deficiency anemia in adult non-pregnant patients. Revista De Investigacion Clinica. 2002; 54(1): 12-20. 15. Andrews P.A. Disorders of iron metabolism. New England Journal of Medicine. 2000; 342 (17): 1293. 16. Wally J., Halbrooks P.J., Vonrhein C, Rould M.A., Everse S.J., Mason A.B., Buchanan S.K. The crystal structure of iron-free human serum transferrin provides insight intointer-lobe communication and receptor binding. The Journal of Biological Chemistry. 2006; 281(34): 24934-44. 17. Cheng Y., Zak O., Aisen P., Harrison S.C., Walz T. Structure of the human transferrin receptor-transferrin complex. Cell. 2004; 116(4): 565-76. 18. Fleming M.D., Romano M.A., Su M.A., Garrick L.M., Garrick M.D., Andrews N.C. Nramp2 is mutated in the anemic Belgrade (b) rat: evidence of a role for Nramp2 in endosomal iron F transport. Proceedings of the National Academy of Sciences. USA. 1998; 95(3): 1148-53. 20. Hentze M.W., Muckenthaler M.U., Andrews N.C. Balancing acts: molecular control of mammalian iron metabolism. Cell. 2004; 117(3): 285-97. 21. Ludwiczek S., Aigner E., Theurl I., Weiss G. Cytokine-mediatedregulation of iron transport in human monocytic cells. Blood. 2003; 101(10): 4148-54. 22. Sakamori R., Takehara T., Tatsumi T., Shigekawa M., Hikita H., Hiramatsu N., Kanto T., Hayashi N. STAT3 signaling withinhepatocytes is required for anemia of inflammation in vivo. Journal of Gastroenterology. 2010; 45(2): 244-8. 23. Mayeur C., Lohmeyer L.K., Leyton P., Kao S.M., Pappas A.E., Kolodziej S.A. et al. The type I BMP receptorAlk3 is required for the induction of hepatic hepcidin gene expressionby interleukin-6. Blood. 2014; 123(14): 2261-8. 24. Theurl I., Schroll A., Sonnweber T., Nairz M., Theurl M., Willenbacher W. et al. Pharmacologic inhibition of hepcidin expression reverses anemia of chronic inflammation in rats. Blood. 2011; 118(18): 4977-84. 25. Nicolas G., Bennoun M., Devaux I., ., Grandchamp B., Kahn A. et al. Lack of hepcidin geneexpression and severe tissue iron overload in upstream stimulatory factor 2 (USF2) knockout mice. Proceedings of the National Academy of Sciences. USA. 2001; 98(15): 8780-5. 26. Andriopoulos B., Corradini E., Xia Y., Faasse S.A., Chen S., Grgurevic L. et al. BMP6 is a key endogenous regulator of hepcidin expression and iron metabolism. Nature Genetics. 2009; 41(4): 482-7. 27. Babitt J.L., Huang F.W., Wrighting D.M., Xia Y., Sidis Y., Samad T.A. et al. Bone morphogenetic protein signaling by hemojuvelin regulates hepcidin expression. Nature Genetics. 2006; 38(5): 531-9. 28. Pak M., Lopez M.A., Gabayan V., Ganz T., Rivera S. Suppression of hepcidin during anemia requires erythropoietic activity. Blood. 2006; 108(12): 3730-5. 29. Tanno T., Bhanu N.V., Oneal P.A. et al. High levels of GDF15 in thalassemia suppress expression of the iron regulatory protein hepcidin. Nature Medicine. 2007; 13(9): 1096-101. 30. Tanno T., Porayette P., Sripichai O. et al. Identification of TWSG1 as a second novel erythroid regulator of hepcidin expression in murinend human cells. Blood. 2009; 114(1): 181-6. 31. Kautz L., Jung G., Valore E.V., Rivella S., Nemeth E., Ganz T. Identification of erythroferrone as an erythroid regulator of iron metabolism. Nature Genetics. 2014; 46(7): 678-84. 32. Poli M., Girelli D., Campostrini N., Maccarinelli F., Finazzi D., Luscieti S. et al. Heparin: a potent inhibitor of hepcidin expression in vitro and in vivo. Blood. 2011; 117(3): 997-1004. 33. Poli M., Asperti M., Naggi A., Campostrini N., Girelli D., Corbella M. et al. Glycol-split nonanticoagulant heparins are inhibitors of hepcidin expression in vitro and in vivo. Blood. 2014; 123(10): 1564-73. 34. Ritchie J.P., Ramani V.C., Ren Y., Naggi A., Torri G., Casu B. et al. SST0001, a chemically modified heparin, inhibits myeloma growth and angiogenesis via disruption of the heparanase/syndecan-1 axis. Clinical Cancer Research. 2011; 17(6): 1382-93. 35. Naggi A., Casu B., Perez M., Torri G., Cassinelli G., Penco S. et al. Modulation of the heparanase-inhibiting activity of heparin through selective desulfation, graded N-acetylation, and glycol splitting. The Journal of Biological Chemistry. 2005; 280(13): 12103-13. 36. Silvestri L., Pagani A. Camaschella C. Furin-mediated release of soluble hemojuvelin: a new link between hypoxia and iron homeostasis. Blood. 2008; 111(2): 924-31. 37. Steinbicker A.U., Sachidanandan C., Vonner A.J., Yusuf R.Z., Deng D.Y., Lai C.S. et al. Inhibition of bone morphogenetic protein signaling attenuates anemia associated with inflammation. Blood. 2011; 117(18): 4915-23. 38. Peterson P.W. Targeting cancer-induced anemia with hepcidin lowering ALK2 inhibitors. Clinical Cancer Researsh. 2015; 75(15): 3647. 39. Boser P., Seemann D., Liguori M.J., Fan L., Huang L., Hafner M. et al. Anti-repulsive guidance molecule C (RGMc) antibodies increases serum iron in rats and cynomolgus monkeys by hepcidindownregulation. The AAPS Journal. 2015; 17(4): 930-8. 40. Akinc A., Chan-Daniels A., Sehgal A. Targeting the hepcidin pathway with RNAi therapeutics for the treatment of anemia. Blood. 2011; 118(21): 315. 41. Nair J.K, Willoughby J.L., Chan A., Charisse K., Alam M.R., Wang Q. et al. Multivalent N-acetylgalactosamine-conjugated siRNA localizes in hepatocytes and elicits robust RNAi-mediated gene silencing. Journal of the American Chemical Society. 2014; 136(49): 16958-61. 42. Kurzrock R., Voorhees P.M., Casper C., Furman R.R., Fayad L., Lonial S. et al. A phase I, open-label study of siltuximab, an anti-IL-6 monoclonal antibody, in patients with B-cell non-Hodgkin lymphoma, multiple myeloma, or Castleman disease. Clinical Cancer Research. 2013; 19(13): 3659-70. 43. Casper C., Chaturvedi S., Munshi N., Wong R., Qi M., Schaffer M. et al. Analysis of inflammatory and anemia-related biomarkers in a randomized, double-blind, placebo-controlled study of siltuximab (anti-IL6 monoclonal antibody) in patients with multicentriccastleman disease. Clinical Cancer Research. 2015; 21(19): 4294-304. 44. Angevin E., Tabernero J., Elez E, Cohen S.J., Bahleda R., van Laethem J.L. et al. A phase I/II, multipledose, dose-escalation study of siltuximab, an anti-interleukin- 6 monoclonal antibody, in patients with advanced solid tumors. Clinical Cancer Research. 2014; 20(8): 2192-204. 45. Schipperus M., Rijnbeek B., Reddy M., Qin X., Cornfield M.J. CNTO328 (anti- IL-6 mAb) treatment is associated with an increase inhemoglobin (Hb) and decrease in hepcidin levels in renal cell carcinoma (RCC). Blood. 2009; 114(22): 4045. 46. Song S.N., Tomosugi N., Kawabata H., Ishikawa T., Nishikawa T., Yoshizaki K. et al. Down-regulation of hepcidin resulting from long-term treatment with an anti-IL-6 receptor antibody (tocilizumab) improves anemia of inflammation in multicentric Castleman disease. Blood. 2010; 116(18): 3627-34. 47. Song S.N., Iwahashi M., Tomosugi N., Uno K., Yamana J., Yamana S. et al. Comparative evaluation of the effects of treatment with tocilizumab and TNF-alpha inhibitors on serum hepcidin, anemia response and disease activity in rheumatoid arthritis patients. Arthritis Research and Therapy. 2013; 15(5): 141. 48. Isaacs J.D., Harari O., Kobold U., Lee J.S., Bernasconi C. et al. Effect of tocilizumab on haematological markers implicates interleukin-6 signalling in the anaemia of rheumatoid arthritis. Arthritis Research and Therapy. 2013; 15(6): 204. 49. De Vos J., Jourdan M., Tarte K., Jasmin C., Klein B. JAK2 tyrosine kinase inhibitor tyrphostin AG490 downregulates the mitogenactivated protein kinase (MAPK) and signal transducer and activator of transcription (STAT) pathways and induces apoptosis in myeloma cells. British Journal of Haemotology. .2000; 109(4): 823-8. 50. Fatih N., Camberlein E., Island M.L., Corlu A., Abgueguen E., Dеtivaud L. et al. Natural and synthetic STAT3 inhibitors reduce hepcidin expression in differentiated mouse hepatocytes expressing the active phosphorylated STAT3 form. Journal of Molecular Medicine. 2010; 88(5): 477-86. 51. McMurray J.S., Mandal P.K., Liao W.S., Klostergaard J., Robertson F.M. The consequences of selective inhibition of signal transducer and activator of transcription 3 (STAT3) tyrosine705 phosphorylation by phosphopeptide mimetic prodrugs targeting the Src. homology 2 (SH2) domain. Jakstat. 2012; 1(4): 263-347. 52. Groopman J.E., Itri L.M. Chemotherapy-induced anemia in adults: incidence and treatment. Journal of the National Cancer Institute. 1999; 91(19): 1616-34. 53. Georgiev P., Lazaroiu M., Ocroteala L., Grudeva-Popova J., Gheorghita E., Vasilica M. et al. The anti-hepcidinSpiegelmer® LexaptepidPegol (NOX-H94) as treatment of anemia of chronic disease in patients with multiple myeloma, low grade lymphoma, and CLL: a phase II pilot study. Cancer Research. 2014; 74 (19): 3847. 54. Cooke K.S., Hinkle B., Salimi-Moosavi H., Foltz I., King C. A fully human anti-hepcidin antibody modulates iron metabolism in both mice and nonhuman primates. Blood. 2013; 122(17): 3054-61. Будневский А. В., Овсянников Е. С., Воронина Е. В., Лабжания Н. Б., Жусина Ю. Г. Новые подходы к лечению анемии хронических заболеваний // Патологическая физиология и экспериментальная терапия. 2018. Т. 62. № 3. С. 106–112.